If you thought Reebok’s return to retail – in the form of Retro releases – would end with a few well known classics then you were mistaken. Not only will we receive tons of classics from the brand in general but we will also be seeing these classics in fresh new colorways – such as this Reebok Question in a ‘Draft Day’ makeup. 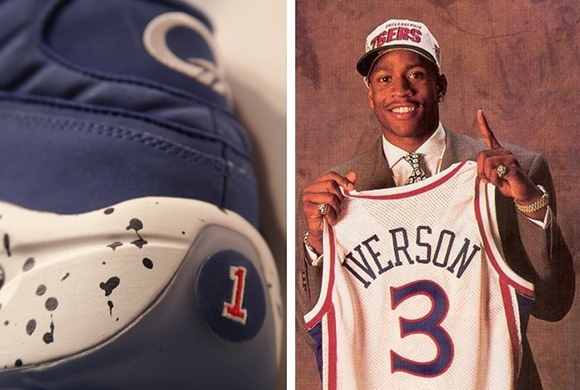 Sporting Philadelphia’s Red/ White & Blue color combo and a #1 at the heel – signifying A.I. Being chosen #1 overall in the 1996 Draft. Look for these to hit retailers come Spring 2013.
hoping that i get a chance to grab a pair of these.